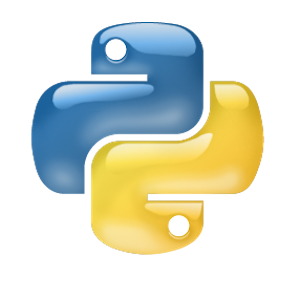 This is an example of how to build a simple python API built into a docker container. The following code snippit sets up a bottle server that runs a very simple api. The api is set to recieve a GET type request, and just builds a simple response, returning back a user name, team name, and the version of the API, along with a simple message. To use the example code below, simply copy the contents of the code block into a file named example_api.py and save it. The following dockerfile example will take the example_api.py that we saved and package it into an alpine linux container image. To use the following example Dockerfile, copy the code block below and save it to a file named Dockerfile in the SAME directory where you saved example_api.py. Now that we have the code sample, and the dockerfile, we can now build the docker image. In order to build the docker image, perform the following command. docker build -t lab/api:latest . At this stage we should have a docker image created, and ready to be launched. Verify that the image was created successfully using the docker images command, and then we are ready to launch the container and test it. Use the following commmand syntax in order to run the container image. The Docker run statement has the -d flag which tells the container to run as a deamon process. As such only the container ID was returned. To see additional details about the container use the docker ps --all command. Additonally below you will find a brief description of what each of the above flags specified in the Docker run statement do. Once the docker run statement has beeen executed, the contianer should now be up and running. In order to test it you can simply send a standard GET request to the API using either a standard browser or Postman. You should recieve a JSON response in the following format. The first thing we will want to do to test the running container is to check the containers run state to ensure that the container is properly up and running and that host ports are bound to the exposed container ports. We can do this using the docker ps --all command. Looking at the command output, we can see that the STATUS of the container is Up and the container has the host (My Workstation) listening on port 8500, and its forwarding requests to that port to the exposed container port 8500. Next lets fire up a GET request to test the container runtime. For this simple example we can simply use the Curl utility to perform the GET request.